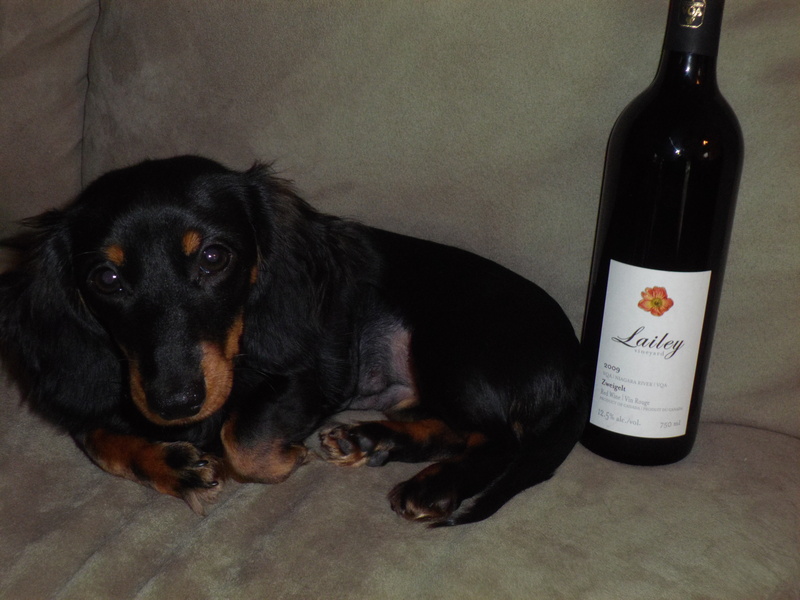 Wine Review: 2009 Lailey Vineyard Zweigelt | Wine Splash! 8/9/2012 rated 88 points: We tasted this bottle while on vacation in Niagara-on-the-Lake and truly enjoyed it. We just opened it again tonight and was impressed with how it is evolving. The color is a deep ruby color in the core and ruby on the edges. The nose is just wonderful with exuberant black cherry, strawberry, and vanilla teasing at our senses! On the palate, medium to full bodied with rich and creamy mouthfeel. Lush dark berry, spice, and a hint of mocha on the finish. The length of the finish was good with decent tannin structure. We had this with barbecue pork spare ribs and it was perfect! Would also pair it with a flat iron steak, pasta with tomato meat sauce, or a good angus burger. On our SiNoTas scale, I would give the 2009 Lailey Vineyard Zweigelt an A-. Good nose and nice balance of fruit and spice. A good food wine which is very easygoing and won’t overwhelm the flavors of most types of food. I definitely look forward to going back to Niagara-on-the-Lake and buying this again! If you have a 2009 vintage, I would drink this by the end of 2013. WineSplashing!